Everything OK ... Nice hostel in a nice quarter of Berlin. After sorting out the missing reservation in the system we got our room (double). For causing the inconvinience while the check-in we got two drinks for free. 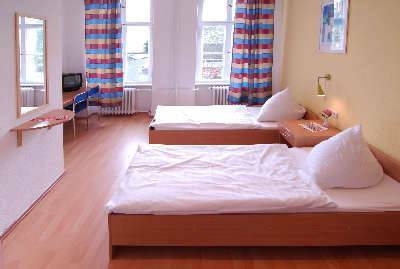 In an erstwhile factory building surrounded by small galleries, trendy shops, bars and restaurants and just 5 minutes from the street car station East cross, the A&O Berlin Friedrichshain offers you an ideal starting point for your visit to Berlin. 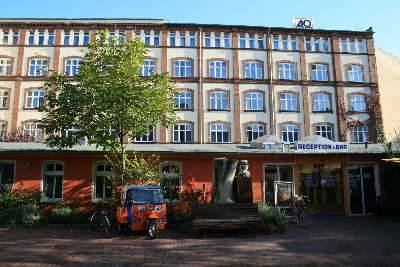 A&O Berlin Friedrichshain offers you not only a comfortable sleeping berth but also a lot of extras. A WLAN or a terminal account helps against nostalgia and there are post cards or T-shirts for souvenir hunters. 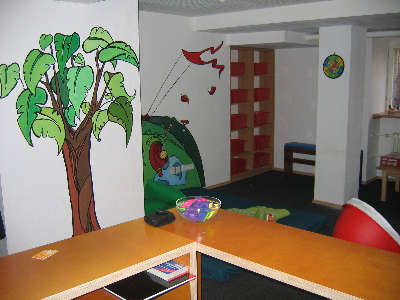 The teachers’ lounge offers teachers or as the case may be, group leaders the opportunity to organise their trips in a quiet atmosphere. 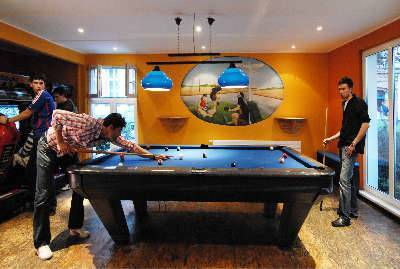 A&O Berlin Friedrichshain is also particularly suitable for families: Family rooms, children's game rooms, a large garden with sporting possibilities and a children care at the weekend also make the City trip comfortable and affordable for families. In addition the large grounds offer possibilities for groups, which one rarely gets from inner city accommodations. Volleyball tournaments, speedminton or simply the grill party provide for the suitable contrast to the town centre program. And if it becomes dark, the Wii Lounge invites you to an exciting match. We also you to our bar invites you for relaxation and celebrations after an arduous day in the city, including new contacts! 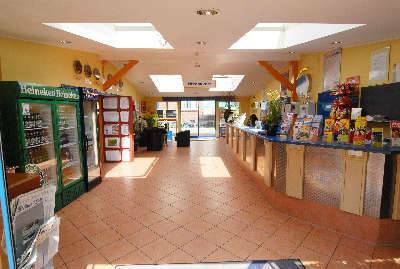 As in every A&O Hotel and Hostel, pets are allowed for additional 5 Euro per night in single and twin-rooms. You can get convention rooms and technology on request. We charge 3 Euro extra for bed linen and 1 Euro for towels if needed. 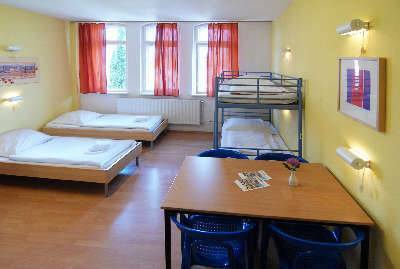 In single, twin and family quad rooms bed-linen and towels are included. Surrounded by clubs, bars, drinks and restaurants. - Until two days prior to arrival till 6 oclock pm (local time hotel/hostel) free of charge. In case of cancellation afterwards a cancellation fee of 100% of the first night will be charged. In case of non-arrival 100% of booking costs will be charged. Its the same for short-term bookings, within two days before arrival. - Any discounts or special offers booked through online booking engines are non-cancelable. Use the S-Bahn number: S9 or S45 from the Airport to the Trainstation "Ostkreuz". On the Trainstation use the Exit to "Neue Bahnhofstrasse" and on the first cross turn left in the "Boxhagener Strasse". After 100 meter you see the Hostel on the right side.